Mobile phone systems have been an integral part of business life for years. The amount of uses that mobile phones are capable of can seem staggering when compared to a decade ago and yet they are set to develop further. Businesses can obtain great deals on mobile phone systems but should choose phones that meet all of their requirements. Mobile phones are used for more than just keeping in touch with colleagues and customers when out of the office. They can be used to transfer data, make emails, take and send digital videos and pictures, and transfer data to and from computers. Regardless of the price, most mobile phones will have most of these basic features. If more sophisticated features are needed then the handset price will usually increase, although they may be free with contracts. If your business simply needs the most basic business phone equipment then you can simply contact the network and order online. However, if you feel you will need a more sophisticated handset then talking to salespeople at the networks should be advantageous. Mobile phone systems salespeople will be able to advise you of the handsets with the most appropriate features. For instance, if you are out of the office you may use your mobile to connect to your laptop and access the internet. This will require a mobile with 3G capabilities and will usually only be available on contract. You may want to transfer data such as pictures from your mobile phone and this is easily achievable with a handset that boasts a Bluetooth system. A mobile network salesperson will be able to talk you through all of the handset and contract options. Roaming networks for calls made from abroad. Audio recording facilities that turn mobiles into Dictaphones. The major British mobile networks all offer basic and sophisticated handsets and contracts. Choosing the right contract can be bewildering and it will be in your best interests to shop around online. Businesses can obtain business tariffs that are usually quite good value for money. There will be various low business tariffs that can be achieved especially when negotiating with the salesperson. Businesses should be able to get great deals that can include free calls between all users within the same business. Deciding on the contract you choose will be between you and your network provider. 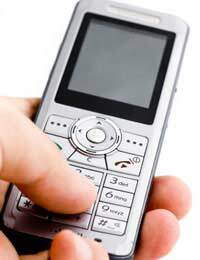 Mobile phone systems usually come with a range of contract options; usually 18 or 24 months. Businesses should receive handsets for free unless they are particularly new or advanced handsets. Always negotiate the price; the mobile phone market is hugely competitive and salespeople should always be open to negotiation in order to make their commission. Remember there are always pay as you go options if you do wish to commit to a contract. International calls from mobile phone systems are notoriously expensive. Although the prices look set to drop, business buyers that conduct business abroad should ask if there are any special deals on this facility. The networks make a huge mark up from international calls to and from mobiles, and it may actually be cheaper to use mobile broadband or WiFi when abroad. Shop around before and see which provider offers the best rates for business calls and receiving voicemail while abroad. Always make sure to read your mobile phone contract, regardless of which handset or contract length you choose. Look out for any hidden clauses such as early contract termination charges. Remember, shopping around online and comparing mobile phone systems should guarantee the best price plans and phone set options, and these should be taken advantage of.